This vibrant South Dakota Autumn scene portrays the warm beauty of the plains. The colors never last long enough, but a photo capture lasts forever! 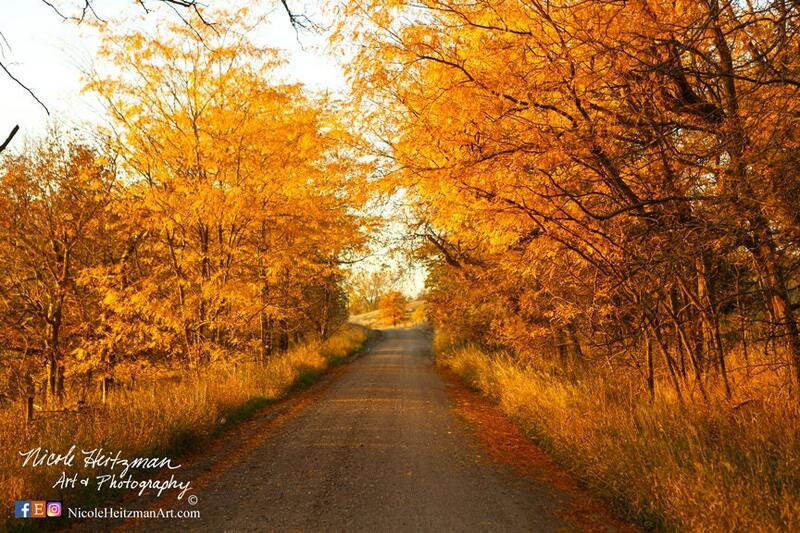 Artist and Photographer, Nicole Heitzman, captured this image on a beautiful fall day in Southeastern South Dakota near Milltown. The modern canvas is wrapped around a wooden block like frame giving a sharp, clean edge for a contemporary look. The solid front takes away any worry of loosening or sagging over time. It is 24" wide by 16" high. Color may vary on screen from the actual print.